Country Hearth Inn and Suites Saint George offers ideal accommodations and location whether you are in town for business, vacation, local festivals, or simply passing through on your way to Charleston or Columbia. All guest rooms include separate sitting area, sofa, table, hairdryer, iron, ironing board, cable TV, and alarm clock radio. For your convenience our hotel offers both smoking and non-smoking rooms. Pets are welcome, restrictions and charges apply. Take advantage of our extremely comfortable beds and relax while saving money year-round with our Kids Stay Free Policy (11 and under in parent's room). 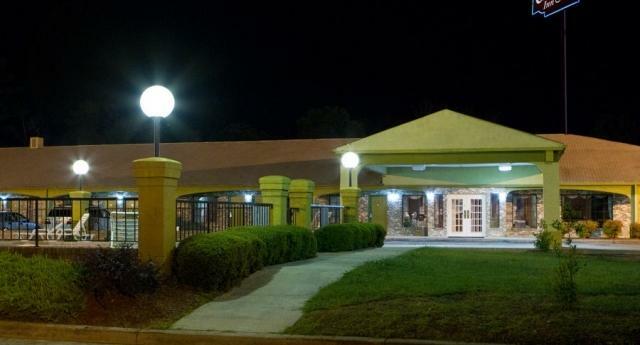 Country Hearth Inn and Suites Saint George is your best choice within the Charleston-North Charleston-Summerville metropolitan area of South Carolina. We are located off I-95, Exit 77, U.S. Hwy 78 on Interstate Drive, and are near to local attractions such as UFO Welcome Center, Givhans Ferry State Park, and Colleton County Museum. At Country Hearth Inn and Suites Saint George our goal is to provide our guests a great experience, not just a place to stay. At Country Hearth Inn and Suites Saint George, Expect More. Get More. Relax your mind and put your body at easy with these accompanying accommodations that can make any night pleasant. Skynyrd's Grill and Sports Bar, 0.6 mi. Georgio's II Pizza & Family, 0.7 mi. Shugs Southern Soul Cafe, 1.2 mi. Check out these Saint George attractions during your stay. Holly Hill Country Club, 20.6 mi. Colleton County Parks & Recreation, 21.6 mi. Lake Marion Golf Course, 22.5 mi. Indian Bluff Recreation Park, 25.8 mi. Santee Cooper Lakes CatfishnFool Fishing Guide, 27.7 mi. Summerville Country Club, 31 mi. Summerville Skate Park, 30.4 mi. Oakbrook Nature Trail, 33.8 mi. Colleton State Park, 11.9 mi. The Gatherings at Dorchester, 13.7 mi. UFO Welcome Center, 14.8 mi. Givhans Ferry State Park, 20.2 mi. Colleton County Museum, 22.3 mi. Slave Relics Museum, 22.3 mi. Bee City Honey Farm, 22.4 mi. Santee State Park, 25.8 mi. Whirlin' Waters Adventure Waterpark, 38.7 mi.